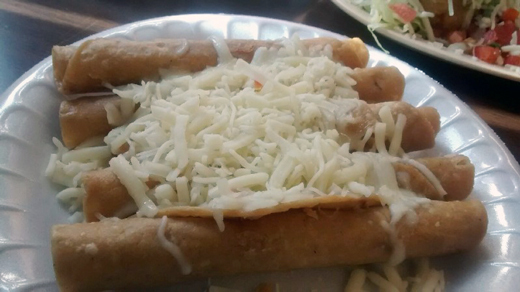 Lourdes is located at 650 S. Escondido Blvd, Escondido and open 9 am to 9 pm seven days a week. A friend and I have been to Lourdes, in Escondido, at least five or six times since we heard about it from another friend. It is by no means a fancy restaurant, but there is a salsa bar, free drink refills (self-serve), and plenty of seating. It is also a favorite with local law enforcement, paramedics and fire personnel. Lourdes gives you chips and salsa while you wait. You place your order at the counter, take a number to your table, and they bring your food out to you. They are famous for their Chicken Tortilla Soup, but we have not yet tried it since it has been so hot here in San Diego County. Just something to beware of: the salsa they give you with your chips while you wait is very mild and seems to be perfect for those who cannot stand the heat. The salsas on the salsa bar, one green, one red, are very spicy! The red is the spicier one. Also, they have mild and hot carrots on the salsa bar. I love spicy food and can take a lot of heat, but the hot carrots were too much for me. It felt like someone had run a knife across my tongue, so be careful. 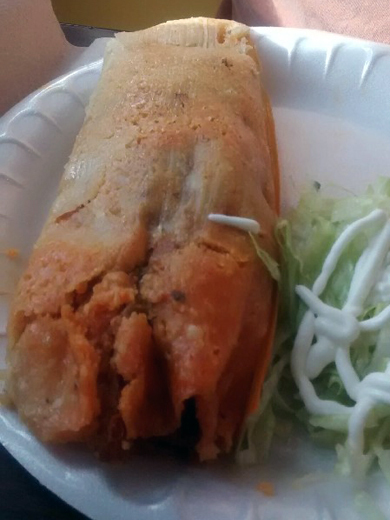 They have tamales on the menu as a regular item, which is great, and as you can see, they are bigger than any tamale I have ever seen. The service is great and they are willing to make changes on the items if you request them. Our orders have always been as we placed them. 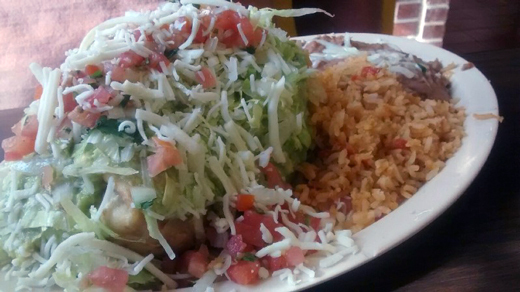 The portions are more than adequate. 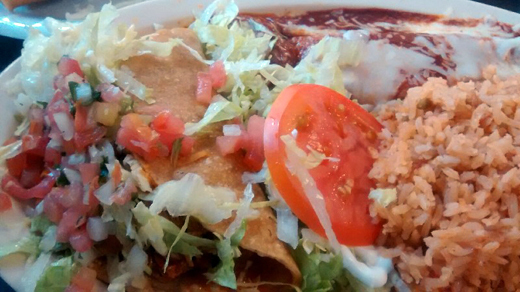 Lourdes serves downright good Mexican food at prices that won't break the bank; no fanfare, just yummy food.